Have you heard the news? EventAccents has brand new Event inventory, adding to our already extensive selection of Event furniture and accent pieces! 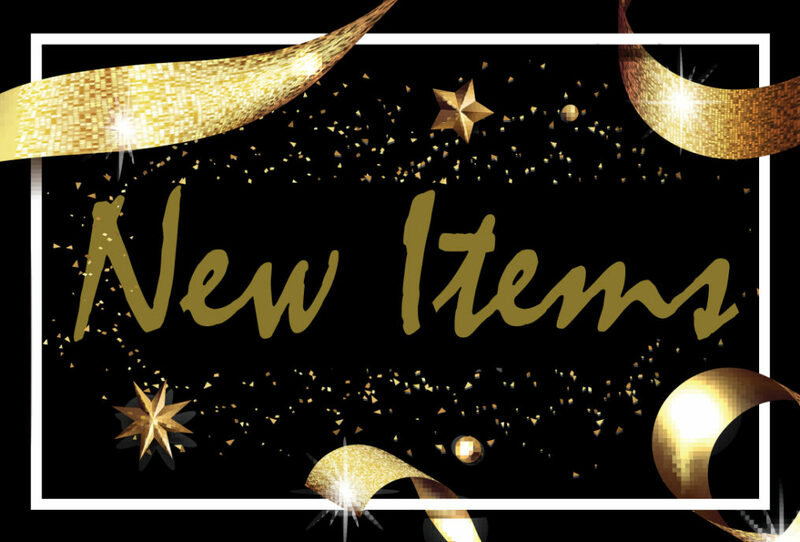 What’s more, many of these new items are exclusive to us and are only found here! Ready for a sneak peek? 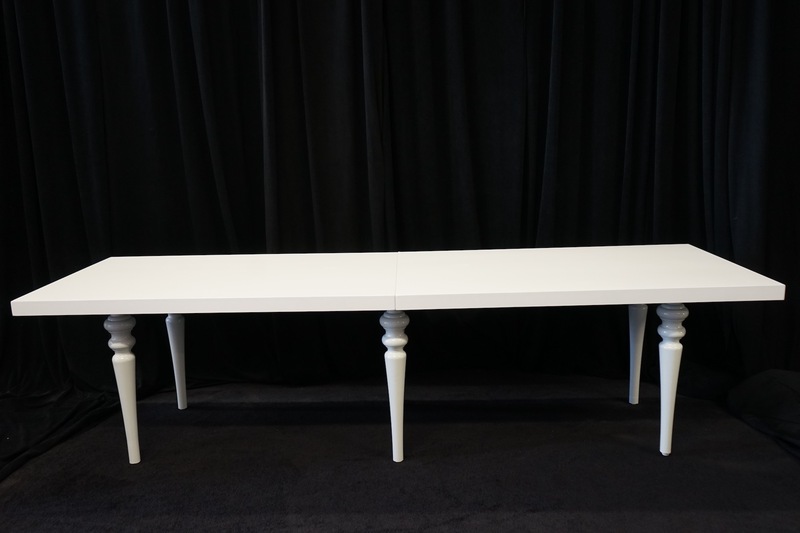 Our White Long Table is so versatile, it can be used for a rustic or luxury affair. 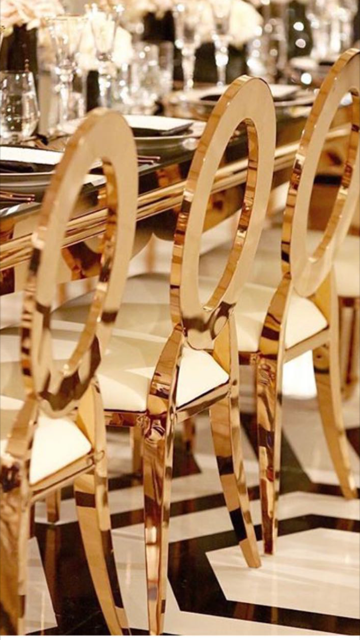 Our Gold O chairs add a hint of WOW to any dining experience. 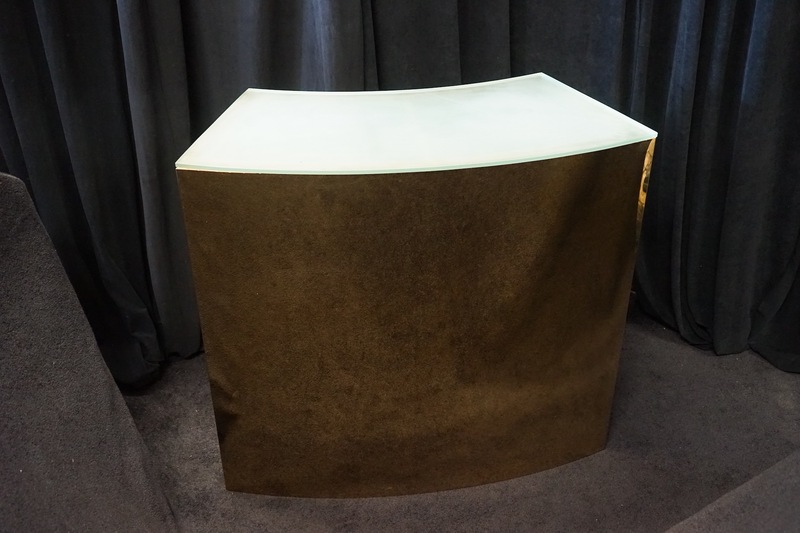 Our unique mirrored table is perfect for any high-end Event. 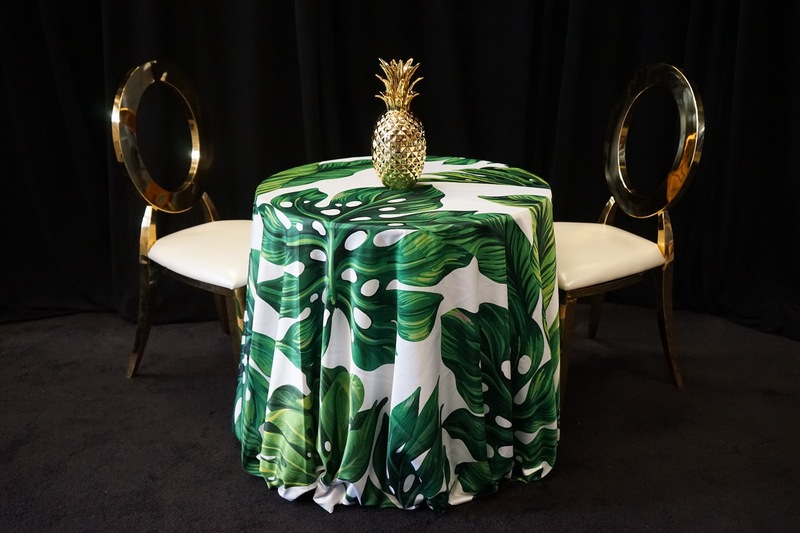 Our new inventory includes Monstera Leaf linens, gold pineapple centerpieces and Gold O chairs with ivory cushions. 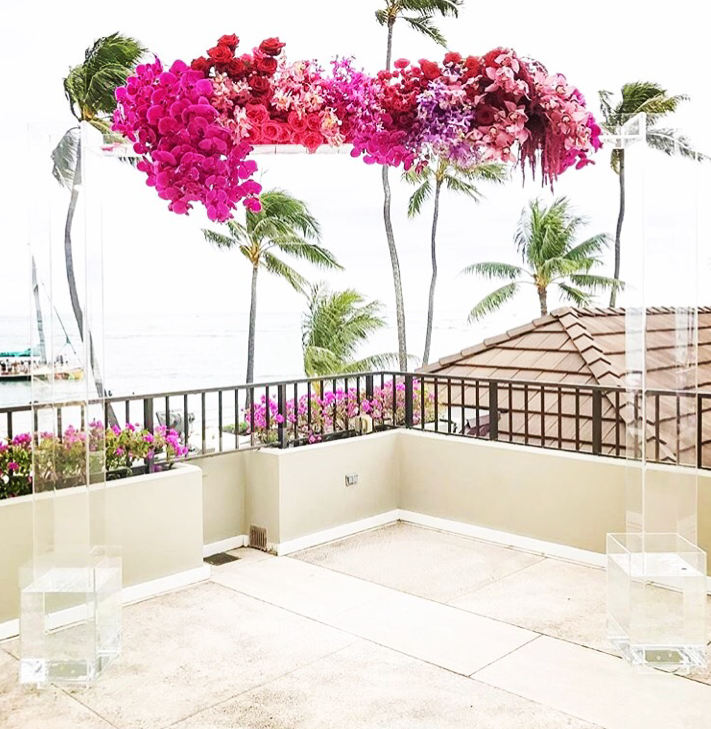 Lend a touch of tropical elegance to your next Event! We’ve added several new types of chairs to our selection of Event seating. 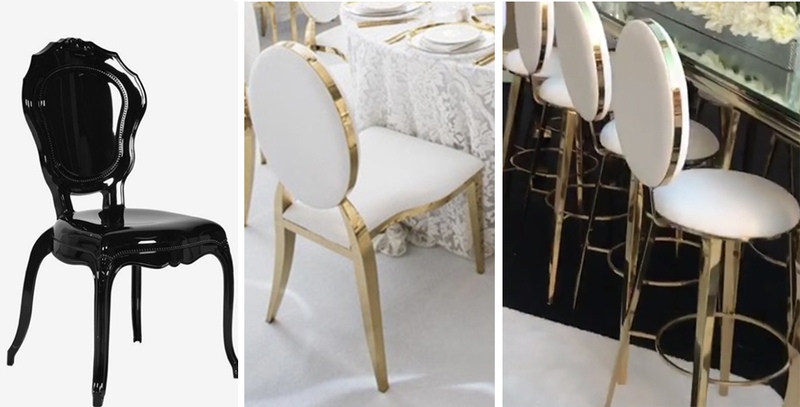 Our new White and Gold Luxe Chairs and Bar Stools will give your Event that added luxury finish, while our new Noir Chairs bring sophistication to any Event. With our Crystal Clear Lucite Arch, brides have a way to incorporate a unique touch while also focusing attention on their wedding flowers, the beauty of the venue and the bridal couple! Chandeliers are a small way to add a sparkling accent or to shine light on the spotlight Event. 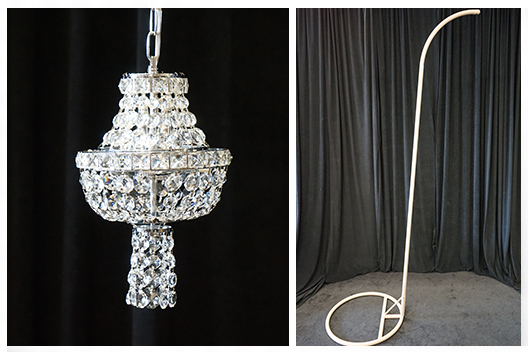 We’ve added small and large crystal chandeliers as well as custom chandelier stands to our collection of EventAccents. 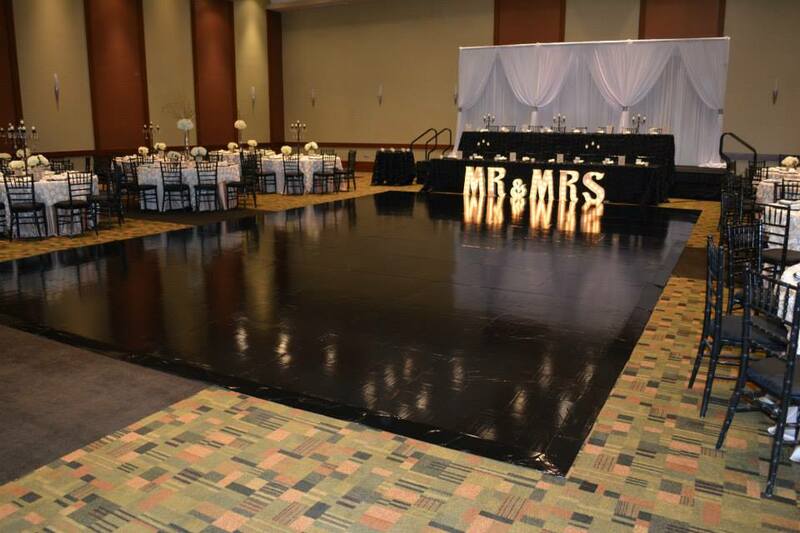 Add our new vinyl, black dance floor to your Event to get everyone on their feet and dancing the night away! Our Gold Luxe Curve Bar is perfect for all occasions. Whether your wedding Guests are enjoying a glass of wine, or your Corporate Clients are sipping a soda, they’re all sure to feel pampered with the look of this bar. 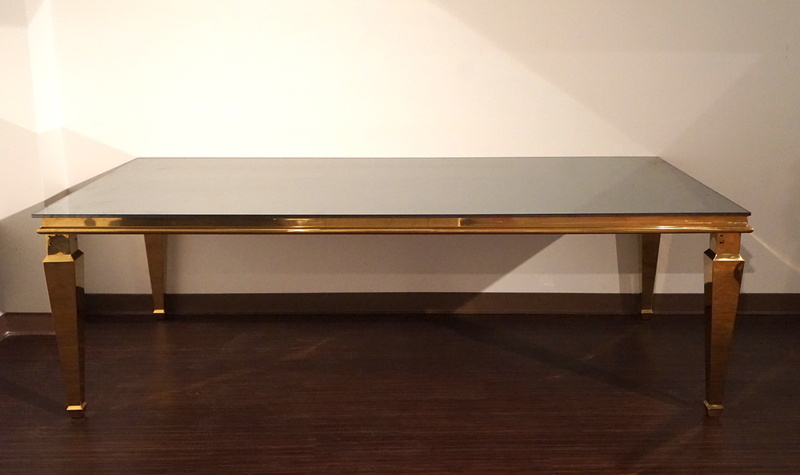 Our new Gold Cake/Sweetheart Table is sure to make a statement. 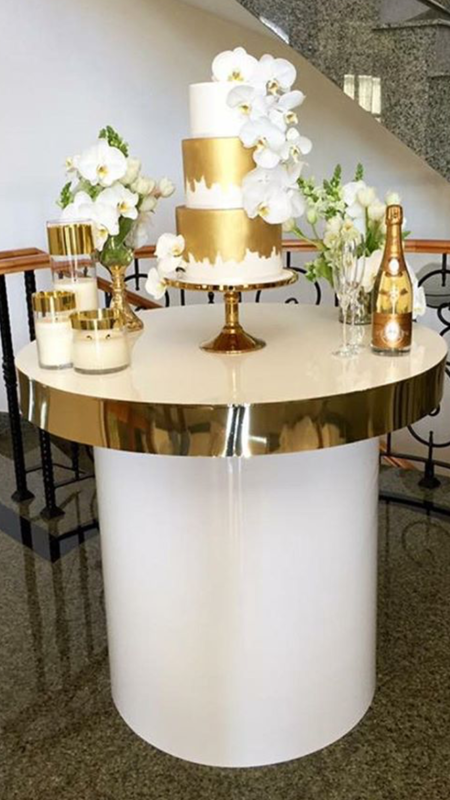 Add our White and Gold Luxe Bar Stools to give the wedding couple a space to relax, eat and enjoy their reception. Or, use it as a cake table to display your beautiful dessert! Our new Diamond Bar Display will bring a sparkle to your Guests’ eyes. 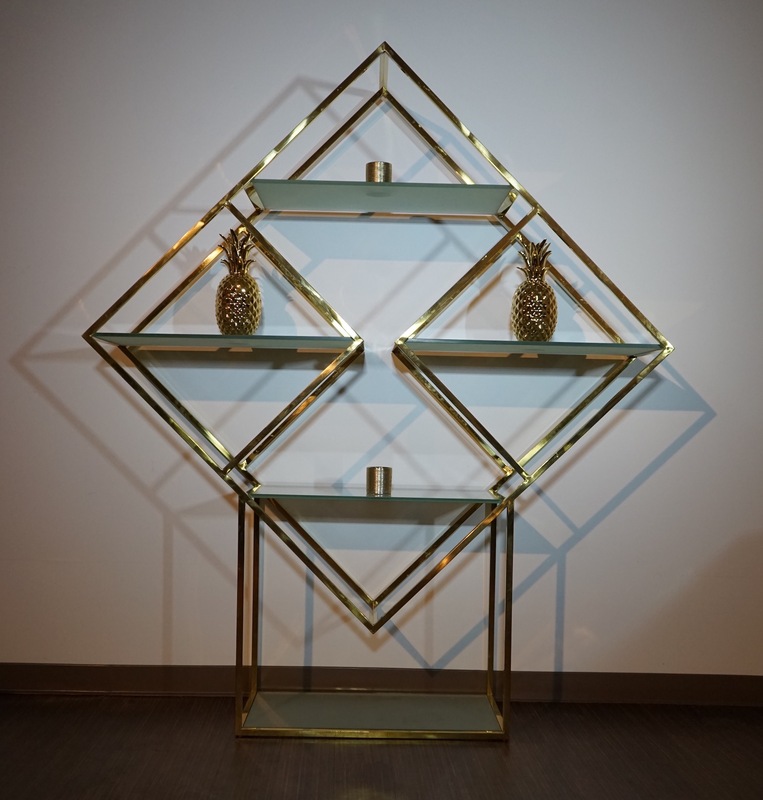 Use it to showcase special items or create a unique bar set-up — this piece has versatility built in! To inquire about pricing and other details, contact us today!